My name is Dawn Sethman and I live in Indianapolis, IN. I have been married to my wonderful husband Greg for over 20 years. I have traveled to Walt Disney World well over a dozen times. I went numerous times as a child, but really gained an appreciation for the Disney Magic when we took our oldest son, Jonathan, for the first time in 1997.
year! That is when the “planning bug” bit!!! I absolutely LOVE planning trips for families. We are leaving in November for our 4th Grand Gathering in 5 years! My clients depend on me to keep up with the latest information and happenings at Disney and it is absolutely my pleasure to do just that. It is my goal to give them the BEST vacation possible! I’m happy to take care of all of your dining and entertainment reservations, itinerary planning (so you can avoid those “what are we doing next” moments) as well as monitoring your reservation for possible discounts that would save you money! I love to help a client with a discount that might enable them to stay longer, upgrade to deluxe or maybe even start saving for their next trip! I have a keen appreciation of what it takes financially to be able to swing a vacation. I want all of my clients to come home with incredible memories that they want to repeat year after year! I hope you will let me be a part of making Magical Memories for your family! 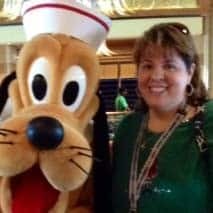 Please select my name on the quote form when requesting a Disney vacation quote. Dawn was wonderful in that we’ve never been to Disney with our two toddlers. She made recommendations based on our budget, interests, family routine, and travel needs. She was quick to reply via phone or email to any of my numerous questions and inquiries. She checked on us via email during our trip and helped to re-arrange some scheduling issues due to parks closing early. She was wonderful!